This fascinating volume was not what I initially expected based on the provided summary and the title. It is not a well-developed treatise on the theme of Christianity in an age of economic globalization. At all. Rather than a cohesive whole, it is rather a transcription of separate studies on the books of Amos and James, commentaries with follow-up remarks to questions from Ellul’s audience. Though the theme of rich/poor comes up as one aspect in each study, that particular issue is not necessarily predominant. 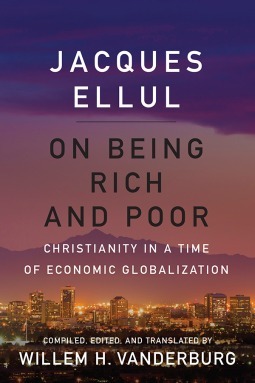 Additionally, in those sections that do address this theme, Ellul repeatedly points out that richness/poorness should not be understood merely in economic terms. Hence my disappointment with this volume solely consists of how it is being sold. If you are looking for a structured and complete exploration on the subtitle topic, I wouldn’t recommend this. However, ignoring this subtitle and the emphasis of the blurb, this book is well worth reading, for Ellul’s writing is clear and well-reasoned, and his insights into both Amos and James are substantial, thought-provoking, and inspiring. Rather than an overall focus on economic disparities, what rather unites these texts more strongly and thoroughly is the simple message that God loves, and then consideration of what follows from this in God’s means of connecting with humanity and the rest of Creation. In this way I found “On Being Rich and Poor” to be in some fashion an Apologetic, something that like Lewis’ “Mere Christianity” sets out to answer some of the common critiques of Christianity by defining what exactly the faith is. Here, Ellul delves into the texts of Amos and of James to clarify his interpretation of the texts and the unity of their messages across the span of the Old to New Testaments and its relation to both Christians and Jews. In contrast to defining Christianity, Ellul instead spends a lot of the text detailing what he thinks these books tell us about what/who God is, and how this is sometimes quite different from popular understandings. In another sense these two commentaries strive to point out the various ways Scripture has been abused through literal readings and ignorance of both historical context and nuances of the original languages. Although not as ‘sold’, this is a tremendously good and approachable read, and would be ideal as the basis for group or individual Bible studies on Amos and/or on James. In addition, anyone with an interest in theology and interpretations of the Bible could gain valuable insight from Ellul’s thoughts, and it serves as a potentially useful tool for clarifying common misperceptions on the nature and ‘personality’ of God as portrayed by the Biblical authors. This is the first book by Klavan that I’ve read, but I was intrigued by the information about this book’s plot and the reception of others to his previous novels. This one turned out to be a disappointment however, which is a particular shame in that due to shipping problems I ended up with two copies (one I passed on to a friend), and the publishers were very kind about this. I hope others enjoy these copies as I pass them on at least. 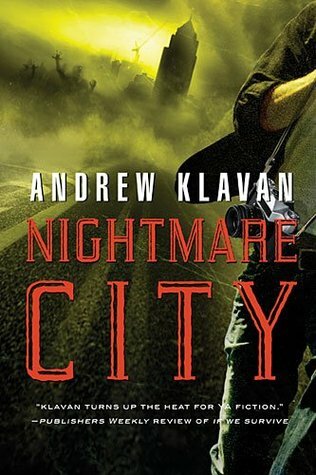 Nightmare City suggests to me that Klavan can write really well, but it just seems lazy here in terms of plotting and development. Although the main character, Tom, is compelling, the others are all flat and the story is too straightforward, remarkably predictable. The first half of the novel consists of Tom wandering around in a literal fog, trying to figure out the situation he is in, with moments of filling in backstory or him being ‘threatened’ by so called ‘malevolents’. We are told how awful these creatures are, but never get much more than a vague sense of what they are or the danger they supposedly present. I say ‘supposedly’ because many a chapter seemed to end with Tom in dire straights only to start the next chapter with him ‘waking’ anew in a new situation, apparently safe and fine. As such, after awhile these ‘malevolent’ threats start to lose their effect. 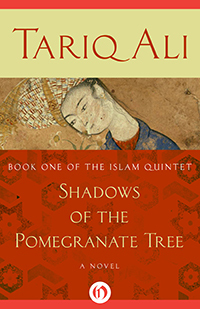 Repetition of themes also occurs throughout the novel, such as truth and the search for it. To Klavan’s credit the theme doesn’t get too preachy or too beholden to any particular religion until the tail-end of the story with a few too-sappy moments where the protagonist is urged to keep on living because of Christ’s sacrifice. Which is kind of an odd theological view in itself. The ideas and themes here are straightforward thus too, but they are also simplistic, and not particularly realistic or helpful for a young person as presented in the absolute sort of world “Nightmare City” exists within. Moreover, at no time does Tom actually remind of any teen I have ever known. Some questions at the end of the book could help getting someone to think a little more deeply about the issues Klavan raises through his story, one only wishes there were a bit more complexity in addressing those same issues in the story itself rather than simply following the obvious paths. I began this excited from the book’s description, eager to delve into a horror novel with rich, gothic mood. High expectations probably account somewhat for my overall feeling of being let down. I’ve come across Steve Rasnic Tem’s fiction through short stories, particularly those published in Asimov’s in the past years and seeing how his style fit into a longer form held my curiosity. To my mind his work is known for a heavy dose of darkness, occurrences that will not go well for characters, no bright futures. 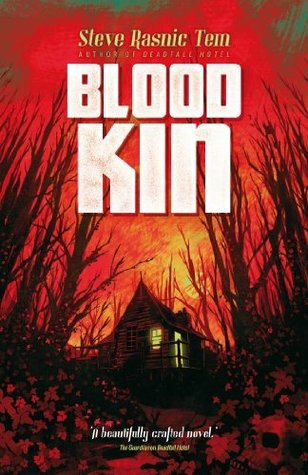 “Blood Kin” fits into this thematic mode well, but the plot and overall divided structure of the novel creates some problems. I’m not talking about the division of plot into two point-of-view protagonists here. Both Michael, and his grandmother Sadie are compelling characters. The switch of narration between the ‘present day’ and Sadie’s past works well. The division that posed a problem for me is regarding the genre emphasis throughout the novel. The story opens with a strong sense of Southern Gothic realism, with perhaps a tint of the magical. After building some tension and increasing the fantastic elements of the story it ends in a stronger dose of horror. At least one other reviewer found this to be the case and preferred the first half of the novel. However, for the most part, my interest in the story lay stagnant until the last moments. There are some notable exceptions to this. The start of the novel with its Southern gothic vibe and the element of the encroaching kudzu grabs your attention. About midway through there is a fantastic chapter detailing Sadie’s first exposure to the church and its snake handling. Between these moments and the close, however, I simply felt the story drift within a lot of potential, but going nowhere significant. This would have made a fantastic novella, the aforementioned highlights of the novel could have been condensed into one and I think the story would have had a far greater impact overall. If you are a fan of Tem’s work, or if the plot description rings as something you tend to like then this is worth reading. I wish as a novel it would have had greater development or a more consistent focus on horror/fantasy.